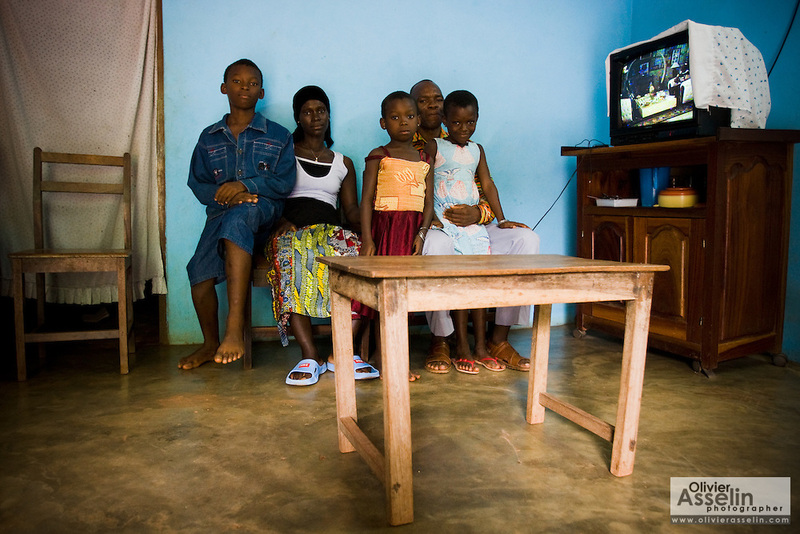 Members of the Djaha family in their home in Dimbokro, Cote d'Ivoire on Friday June 19, 2009. From left to right Henri Joel Djaha Kouakou, 11, Viviane M'Bra Affoue, 32, Alice Bienvenue Djaha Aya, 7, Barthelemy Djaha N'Gueran, 44 and Solange Djaha Ahou, 8. Both parents and the two youngest children are HIV-positive.